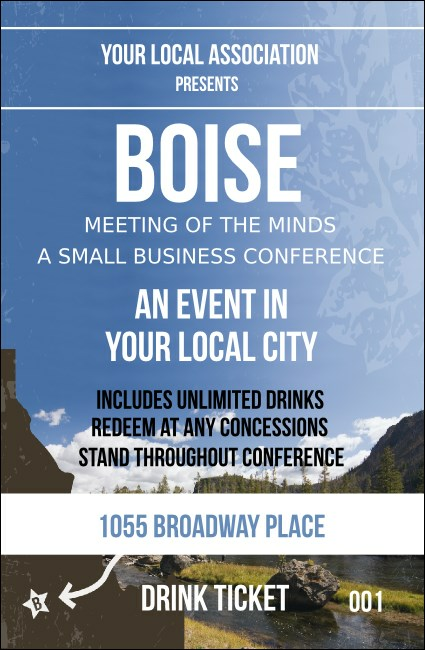 Raise a glass at your next event with the Boise Drink Ticket. Featuring scenic images of a rich, blue sky over the Boise River, your guests will appreciate the natural beauty of the Treasure Valley. Whether your event is held on a First Thursday at the Egyptian Theatre or a weekend convention at the Boise Centre on the Grove, choose the Boise Drink Ticket!